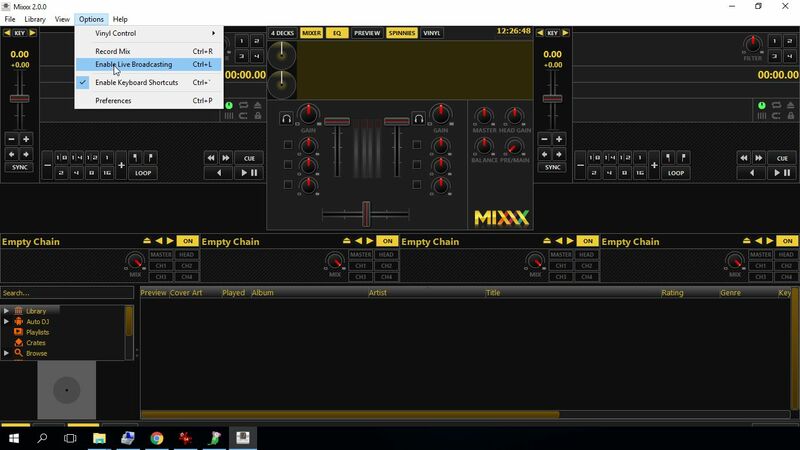 FastCast4u | How to configure Mixxx? Help | How to configure Mixxx? Download Lame MP3 codec from our website and install it having installed Mixxx first. 1. First of all, if you would like to use AutoDJ and broadcast live using Mixxx, you need to create at least one DJ account in Centova Cast Control Panel by selecting the DJ option in the menu of Centova Cast Control Panel. Restart the server after adding each DJ account. Only one DJ can be connected to the server at the time. If you do not use the AutoDJ feature or have a server without AutoDJ, you can skip this first step. 3. If you would like to use a microphone, select it in the Input devices section. 4. To configure the connection to your Radio Server, select Live Broadcasting in the menu. - as the password use the password and username of the DJ account that you have created separated by a colon (:), e.g. "testdj:mypassword" (3) or source password that you have received by email. 6. Fill in Stream details, it is up to you what details will you use. These are Stream Details that will be seen by your listeners. We also recommend selecting the Public server option and UTF-8 encoding for metadata. 7. 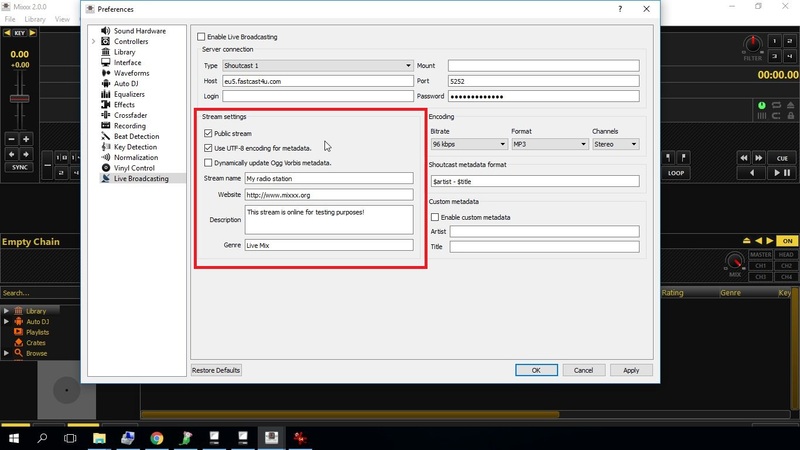 Select the bitrate (audio quality) of the stream. 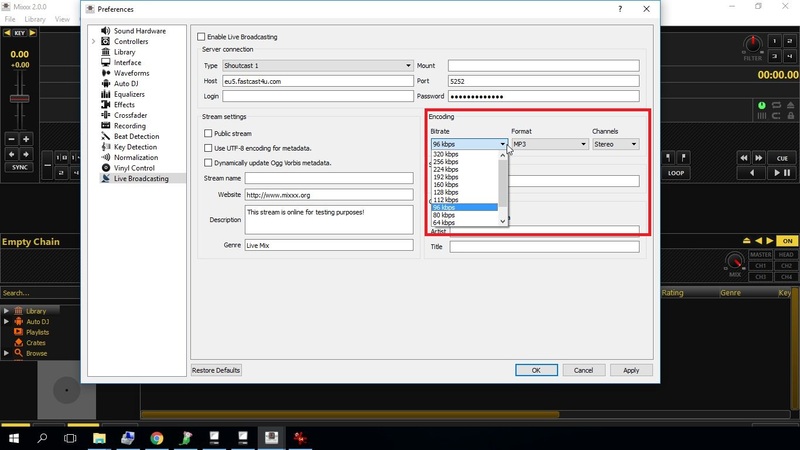 If you use AutoDJ the bitrate of your live stream should be the same as the bitrate of your server/AutoDJ. 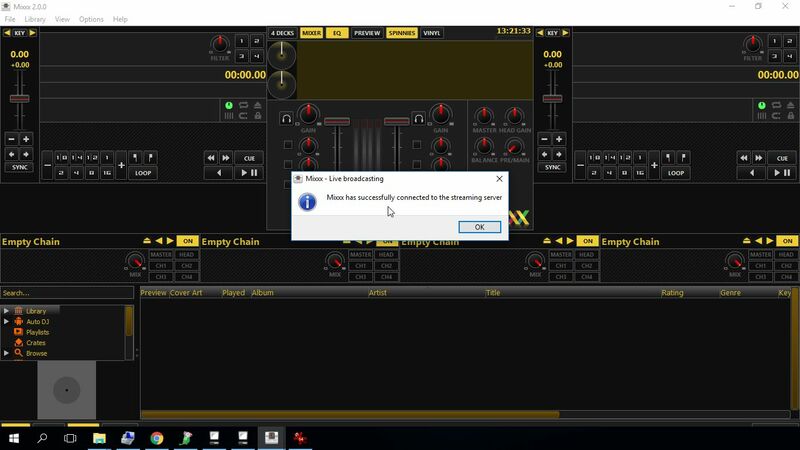 If you do not use AutoDJ make sure that broadcasting bitrate does not exceed the maximum bitrate of your server. 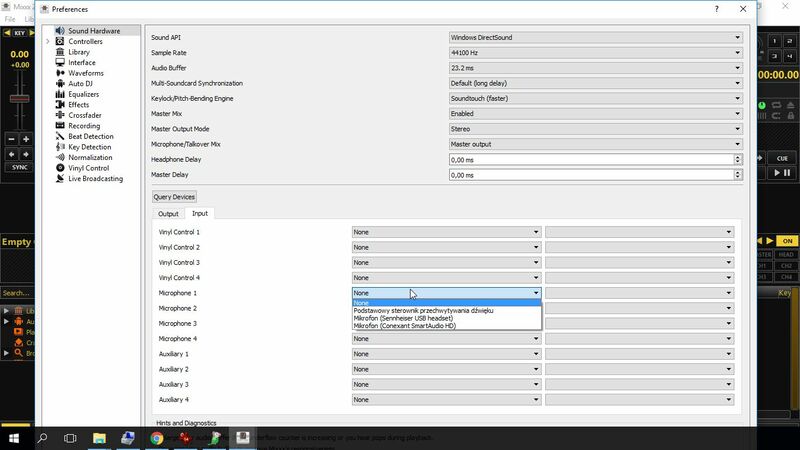 You can check the maximum broadcasting bitrate of your server in the Quick links section of your Centova Cast Control Panel. Select the audio coded for your stream. We recommend broadcasting in MP3 file format because it is supported by most of the players on the Intenet. 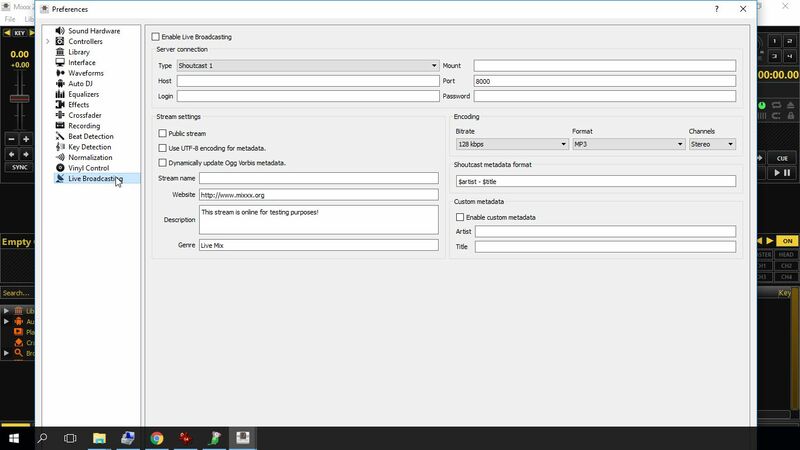 Click Enable Live Broadcasting to connect to the server and start broadcasting live. 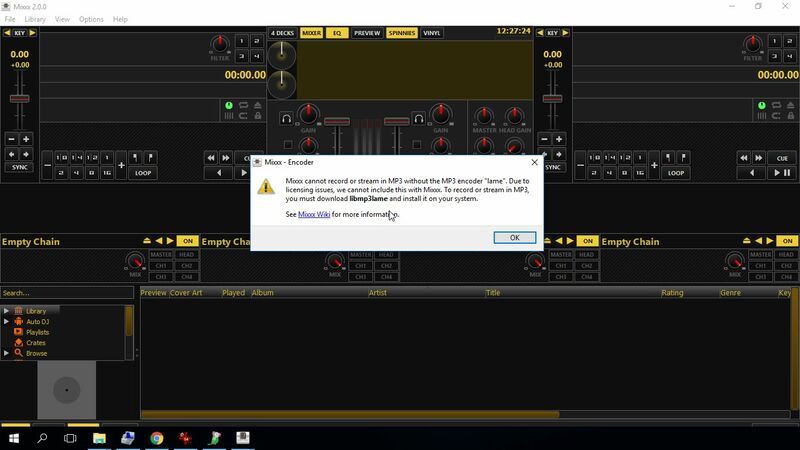 Important: Restart (close and open) Mixxx software after installing the codec. Untick the Enable Live Broadcasting option to disconnect from the server. You are ready to start broadcasting live!